Club Chat. We have to come clean here - those "rather impressive" photographs of David Pounder's car were taken by Martin Vincent for Mini Magazine whose article we reprinted. 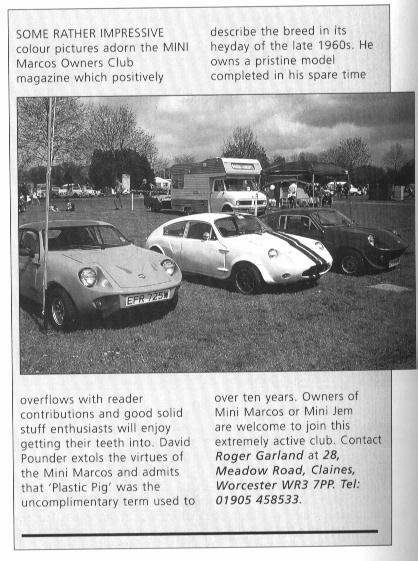 The photo above shows Mike Brown's Mk.II Jem flanked by the Mk.IV Mini Marcoses of Andy Wright and Allan Brown at the Stoneleigh Kit Car Show, 1998.